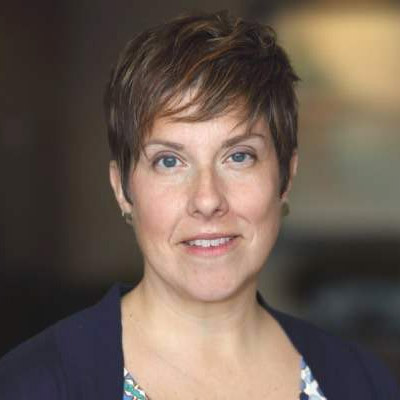 The Megan S. Ott Foundation has a powerful story behind its mission of providing immediate, custom assistance to families who are fighting breast cancer in the Indianapolis Metro community. To continue their great work, they need that story to be shared and donations to be raised. TBH Creative has been happy to help with in-kind web design and marketing services since 2010. Our latest work with the Foundation has been focused on helping them communicate with prospective donors, volunteers and grant recipients in new and exciting ways. TBH Creative recently stepped in to update their website with a responsive design to make sure it is presented clearly and with a strong identity whether viewed on a desktop, tablet or mobile device. We also took this opportunity to enhance the content with video storytelling that allows them to tell their story in a more compelling fashion. Video is a content tool that more and more companies are starting to use. It is a great way to quickly and powerfully impact your viewers. It can make them want to read more information on your site. And, as in the case of the Megan S. Ott Foundation, video content can do a better job calling for action. "Creating one longer, storytelling video or a series of short, key point videos lets our clients really make an impact," notes Tatum Hindman. "Videos work hand-in-hand with good copy and strong calls to action to make a website work even better for many of our clients. We partner with an excellent video production company to help make the process seamless and easy for our clients." Because the stories are so compelling, we chose to go with a longer video format that shows strong emotions, and early site measurements show that it's working - more people are staying on the site longer than ever before. The Foundation also requested a shorter Public Service Announcement video. We created a simple visual message to promote donations and raise awareness. The PSA was aired on WISH and WNDY 82 times over a period of 2 weeks. There was an increase in website unique and new visitors during that time period and continued increase in site traffic in the following month after the ad aired. Direct donations were collected from the TV viewership and the commercial raised awareness for the Foundation. The Foundation will run the PSA again in October for breast cancer awareness month. The goals for the Foundation website are to tell Megan's story and convince people to donate their time or funds. Using website analytics we are closely monitoring how audiences are engaging with the website and making adjustments as needed. The results are a testament to how relatively small enhancements to a website can make a big difference. Online donations are on the rise. A common issue for the not-for-profit website is using strong calls to action and easy donation options. 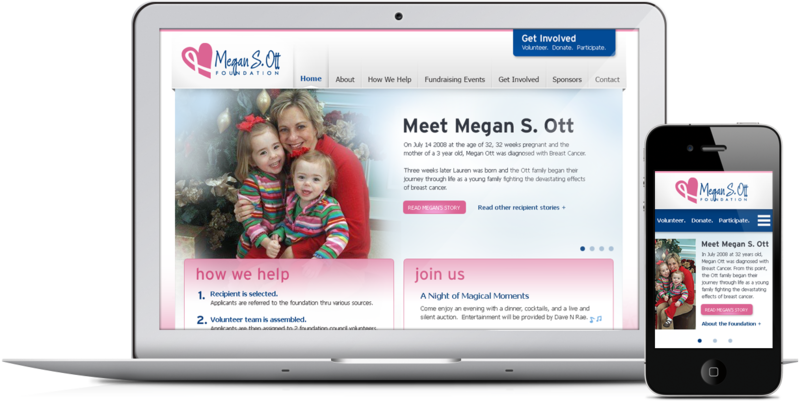 The Megan S. Ott Foundation seeks donations to aid their efforts supporting families who are fighting a day-by-day battle against breast cancer. The online donation form is easy to use, works well on any device and is fully integrated throughout the website. Attracting more people and engaging more action. The videos we helped the Foundation create add a compelling "ask" for donations. This new video outreach has quickly made an impact on their website statistics. They are attracting 47% more visitors than before. And those visitors are reading more pages of the site - with the addition of video content and the ability to easily read the website on any device, we've seen that visitors are staying on the site 34% longer than they were the year before. Strong branding is a communication tool. From the very beginning, TBH Creative has worked with the Megan S. Ott Foundation to create a strong brand identity that will last and clearly communicate the important, valuable work they do. TBH Creative established their logo, supporting collateral and website. Learn more about how TBH Creative helped them establish their brand in 2010. The Megan S. Ott Foundation is fortunate to have found TBH Creative. With the knowledge, guidance, and support from TBH Creative team we have been able to build our on-line presence. Not only do they host our website, but they give thought, detail, and input into our content and everything that goes into our website making sure we get the maximum exposure. The team could not be easier to work with and they seem to always want to help in any way possible which is hard to find. We are honored to work with TBH Creative and look forward to working with them for years to come. The Megan S. Ott Foundation is the legacy of Megan Snyder Ott. Megan envisioned an organization that would provide financial support and "sunshine" to families fighting the battle of breast cancer. Learn how you can help at www.megansottfoundation.org. TBH Creative is web design company located in Carmel, Indiana. We help our clients tell their story with strategic websites, compelling content and robust web development. Learn more about our website design services.